Sucrose, Sodium methyl hydroxy benzoate, Sodium propyl hydroxy benzoate, Ethanol, Glycerin, Hydrochloric acid, Poloxamer 407, Butylated hydroxyanisole, Potassium sorbate, Tutti fmitti, Ponceau 4 R colour, Purified water. – Calcium is essential for bone formation and extra amounts are needed during adolescence. – Vitamin D improves absorption and utilisation of calcium by regulating the body’s calcium phosphorus ratio. – Vitamin B12 is essential to cell metabolism and assists in the synthesis of nucleic acid. (calcitriol), a metabolite of vitamin D, enhances the active phase of absorption. Excess calcium is predominantly excreted renally. Unabsorbed calcium is eliminated in the faeces, together with that secreted in the bile and pancreatic juice. Minor amounts are lost in the sweat, skin, hair, and nails. Calcium crosses the placenta and is distributed into breast milk. – There is no definite data available on the pharmacokinetics of vitamin D3. – In presence of calcium, vitamin B12 is absorbed systemically in lower half of ileum. Initially, bound to intrinsic factor; this complex passes down intestine, binding to receptor sites on ileal mucosa. Protein binding is high. Vitamin B12 is metabolized in the liver and primarily eliminated unchanged in the urine. Its half-life is 6 days. – Provides an ideal method of increasing calcium intake in children only. – When resistance to illness is lowered by malnutrition or adverse seasonal conditions. – These doses should be taken once a day. 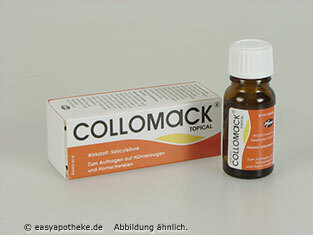 – Decal B12 Syrup can be taken with milk or water or directly from the spoon. Sensitivity reactions are reported and these are extremely rare. the absorption of a number of other drugs such as bisphosphonates, fluoride, some fluoroquinolones, and tetracyclines; doses should be separated by at least 3 hours. – Vitamin 0 requirements possibly increased when given with antiepileptics (as carbamazepine, phenytoin or primidone) or barbiturates. when performing assays for blood concentrations. Parenteral chloramphenicol may attenuate the effect of vitamin B’2 in anaemia. This medication is not intended for pregnant and lactating women. Take care to ensure correct dose in infants. – There is no upper tolerable intake for vitamin B’2 as it is a water soluble vitamin. – A normal heatthy body can tolerate a calcium intake up to 2.5 gm daily. 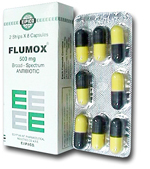 – Doses that may exceed 250 micrograms (10,000 IU) daily of vitamin 0 may cause undesired effects. A carton box containing a plastic bottle of 120 ml syrup.